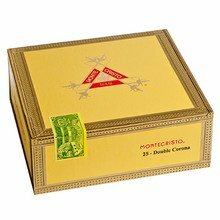 Montecristo Memories cigars pack the great smooth and delicious Monte flavors into a small 4 x 33 format. The rich, medium bodied notes of spice, cocoa, toasted almonds, and leather will offer a delicious premium smoking experience when you don’t have time to sit back and relax with a full-size cigar. I used to love these cigar but people told me that give of a smell of chocolate and manure. I stopped smoking them for awhile and when I went back to them I could smell it too. DI NOT ORDER THESE THEY ARE MOLDY 4 TINS OUTTA FOUR WERE MOLDY AT LEAST 2 PER TIN WERE COVERED IN WHITE MOLD ONE TIN HAD 4 OUT OF 5 THAT WERE MOLDY. I started smoking these types of smaller cigars while I golf and I love them. You don't have to baby them to keep them lit and they last about 2-3 holes. Nice smoke. A little high on the price, but distinctive flavor, aroma and convenient dog walker. Love these little Monte's! Just like the bigger vitolas but doesn't require the time commitment. Great for the yard or golf course. A good little cigar for those times when you don't have a ton of timeout still want a good smoke.loves that there are boveda packs in the tin boxes. A decent little cigar. The construction was different throughout the tin. Some tight and some loose. Good amount of smoke and flavor seemed to stay the same with all. Got a little warm towards the last 3rd. Hard to go wrong with a montecristo. The ones I received had dried out and been re-humidified....was obvious. Great little smoke, burns even medium body. Solid creamy smoke, smooth, hints of cedar and pepper,packs flavor. Good draw and consistency all the way thru. Makes a good smoke for a 30min seating. OK for when you just want a short smoke. Flavor is good and draw is OK.
Great cigar for your lunch break. I save money because I don't have to waste half a cigar if my break is cut short. 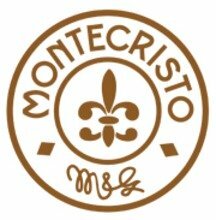 Great Montecristo taste. 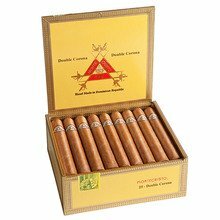 Smooth and crisp, these quick little smokes offer all of Monte Cristo's unique profile in such a little package. Love these things and try to keep them on hand when im in a bind on time!